Please see this link for more information about these USEA Programs. Please see this link for more information about the Area 1 competitions. USEA membership and Horse registration is required except for Yearling, 2 and 3year olds in the FEH divisions. USEA Young Event Horse – USEA Young Event Horse Series may be best described as an equine talent search. The Series gives owners and breeders the opportunity to showcase the potential of their four- and five-year-old horses under saddle while encouraging them to produce top-level event horses for the future. 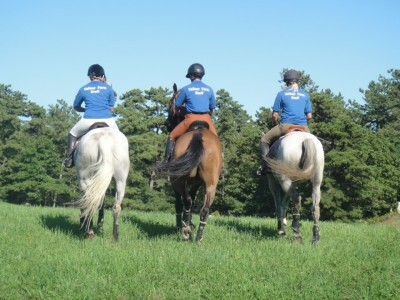 Young Event Horse classes focus on education and preparation of the event horse in a correct and progressive manner. USEA Future Event Horse – The USEA Future Event Horse (FEH) series was introduced in 2007 as a pilot program as, what the USEA hoped would be, a successful precursor to the already popular USEA Young Event Horse series, which is designed for four- and five-year-olds. Since the “test year” was so successful – with more than fifty young horses competing at the year end Championship show – 2008 would see the FEH’s first season as a bona fide USEA program. FEH Classes are in-hand classes for yearlings, two-year olds and three-year olds. At Championships, three-year-olds are required to compete in an additional free-jump division. New in 2017, the FEH program will offer a 4-year-old class in which the horses show their gaits under saddle at qualifier events, and compete in a free-jump division at Championships.